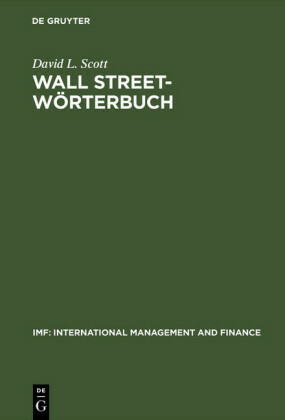 An insider's look at the changing balance of power on Wall Street The Battle for Wall Street follows the struggle for power between two giants: the sellers, traditional commercial and investments banks; and the buyers, upstart hedge funds, private equity firms and the like. The battle is about winning the hearts, minds, and - yes, the wallets - of global investors. 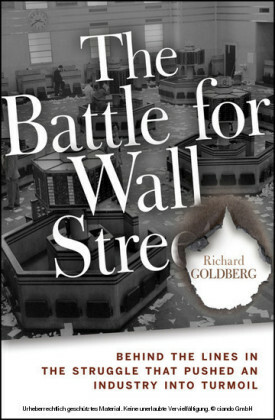 This battle is still running its course, and with the insights of industry veteran Richard Goldberg, who has had a front row seat, readers will gain a detailed understanding as to what, exactly, is going on within this dynamic arena, specifically the forces behind the shift of power from the old sell side gatekeepers to the new buy side players. The book will play out in three acts: Act One will examine the instruments of change - liquidity and financial technology - along with their influence on the sell and buy sides. Act Two will look at the agents of change - hedge funds, private equity, financial entrepreneurs, endowments, exchanges and sovereign wealth funds - and their impact on the sell and buy sides. In Act Three, Goldberg will take out his crystal ball and walk through the strategic implications for the winners and losers in this battle, against the dramatic backdrop of the subprime mortgage crisis and the resulting shakeup of global firms like Bear Stearns. But Wall Street isn't simply about institutions or corporate battles. It's a landscape dominated by personalities. Goldberg's unique access to major players will bring this book to life with amazing anecdotes and stories about the financial generals who have left their mark in The Battle for Wall Street. Richard Goldberg is a twenty-five-year Wall Street veteran with Lehman Brothers, Lazard, and Wasserstein Perella. He has been a banker to the banks and advised on a number of transformational financial services transactions. He is also a faculty member at Columbia University's School of International and Public Affairs and has taught at Boston College's Carroll School of Management and Brandeis University's International Business School.